1. Have a pest problem? Snails and slugs are some of the most common pests that occur in school gardens. Catch these slimy critters by laying empty milk cartons on their sides in the shade and disposing of the snails and slugs that collect there every morning. Cardboard egg cartons can be recycled into perfect seed starting flats. When it’s time to plant, separate the sections with a sharp knife, and tuck each one into the soil. The cardboard will decompose as the seedlings grow. Want to plant potatoes in your garden and also have a great project for kids? Ask each student to bring in one raw potato from home. Have students write their names on their potato and put them in egg cartons in our classroom. 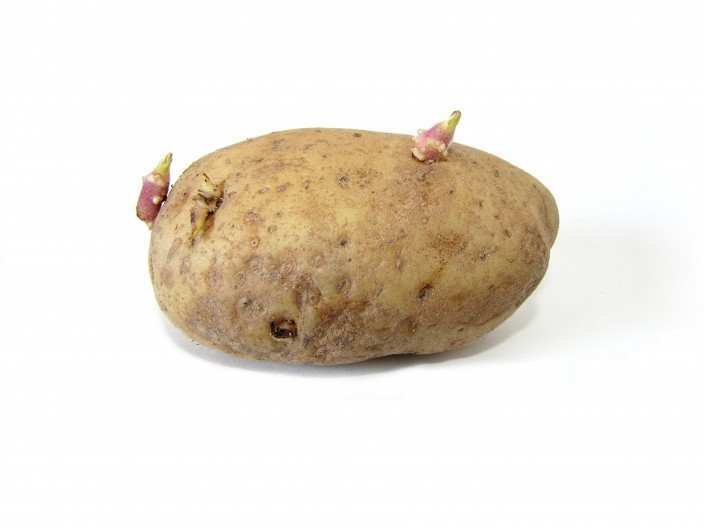 Check back on your potatoes, and note when each starts sprouting (sprout inhibitors are sprayed on non-organic potatoes, so it could take longer for some). Plant the sprouted potatoes big side up and you’ll have a big potato crop in no time! Yellow leaves and bright green veins may be a warning that you’re overwatering. Soggy soils slow or stop the release of iron to plants. Remember to water only when the soil is dry, and use a fork to gently (without harming the roots) aerate the soil.